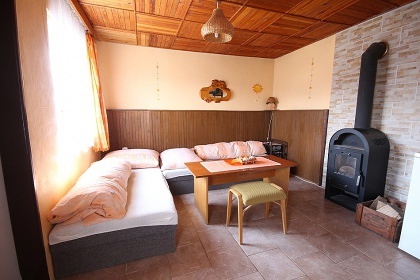 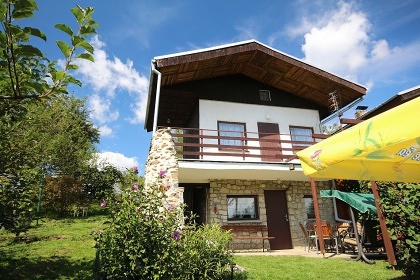 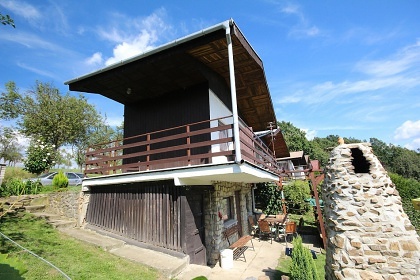 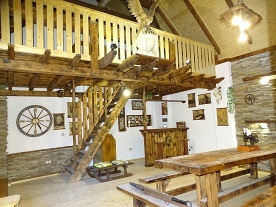 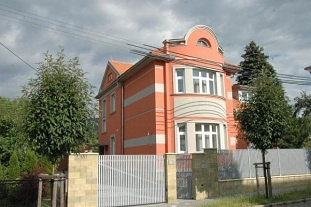 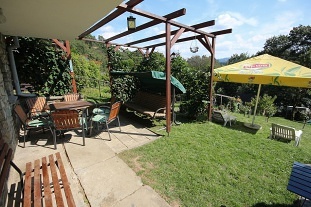 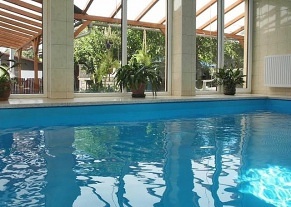 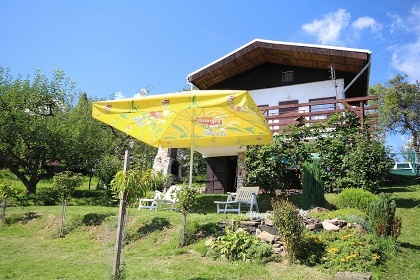 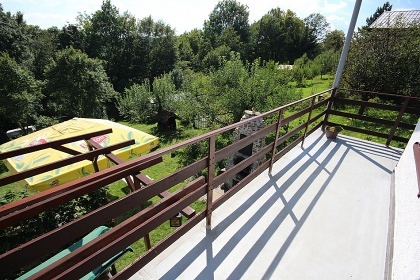 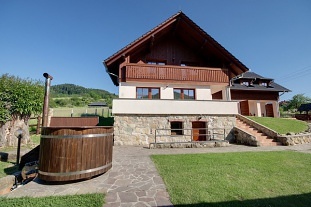 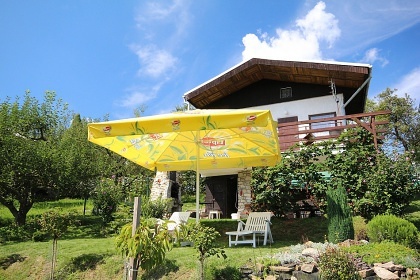 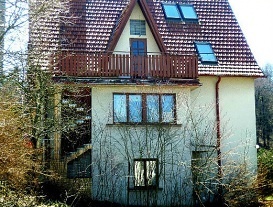 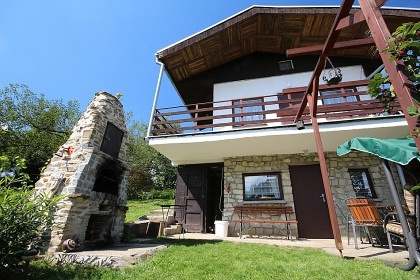 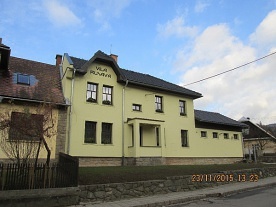 Rental cottage Jaroslavice - Zlín. 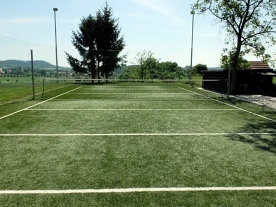 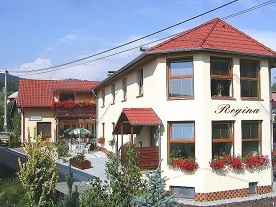 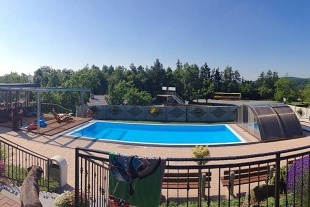 Accommodation Zlín, White Carpathians, South Moravia. 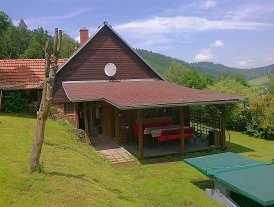 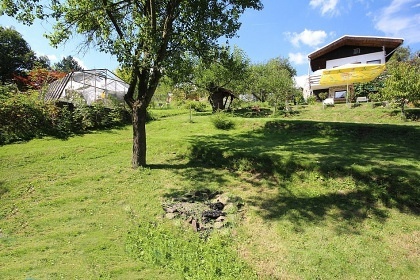 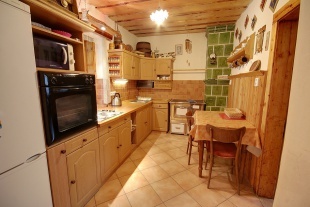 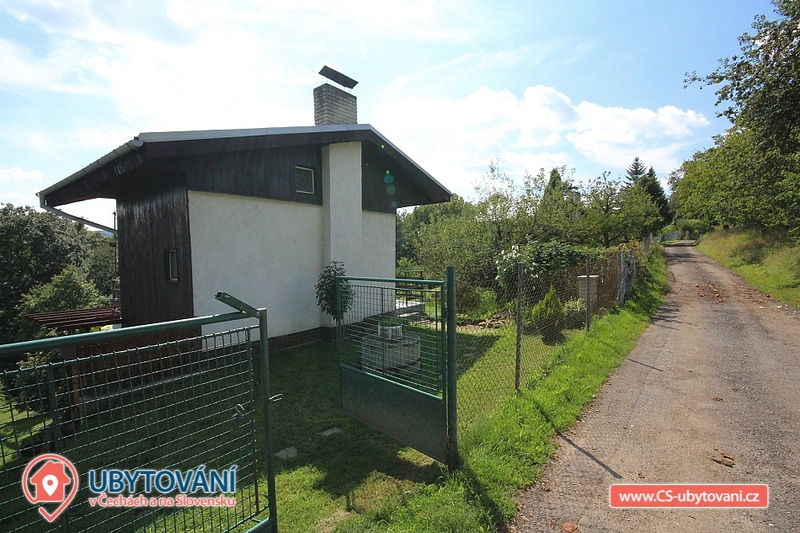 Renting a cottage near Luhačovice, Fryšták and Slušovice. 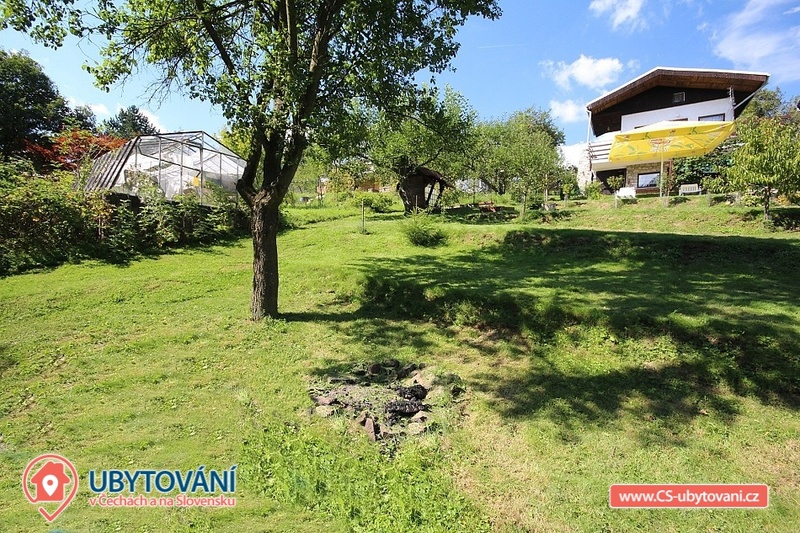 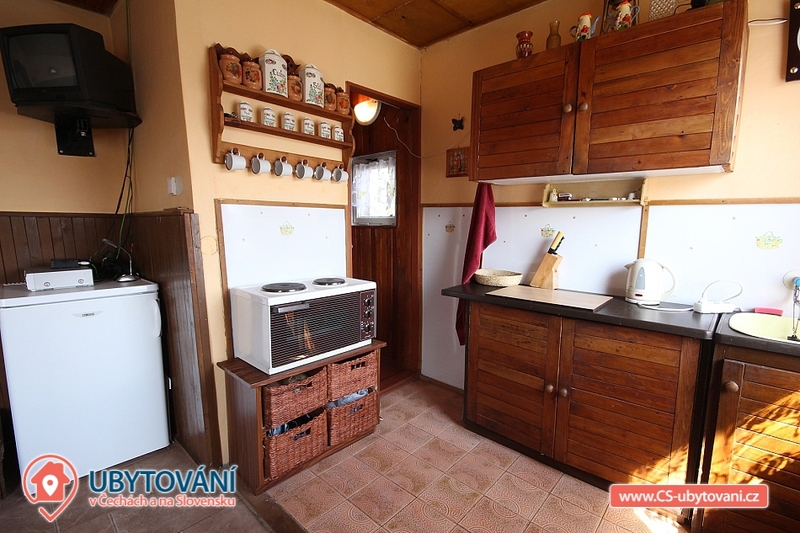 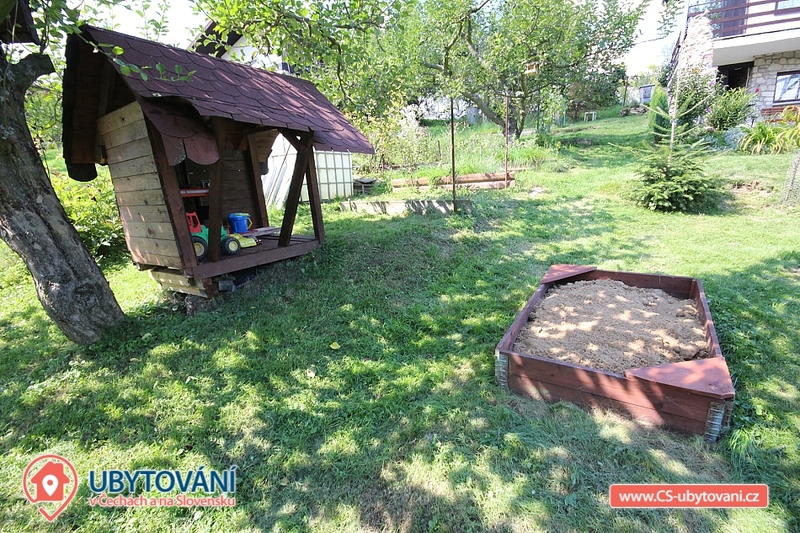 Our cottage is located in a quiet part of a cottage settlement in the village of Jaroslavice at the foot of the White Carpathian Mountains. 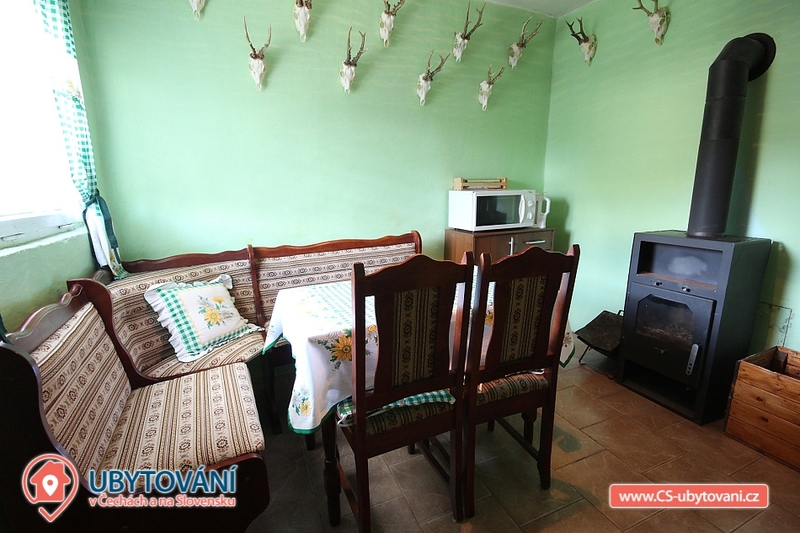 The cottage has 3 floors: on the ground floor is located directly from the garden accessible dining room: dining table, corner bench and fireplace stove. 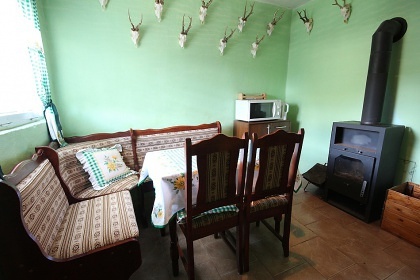 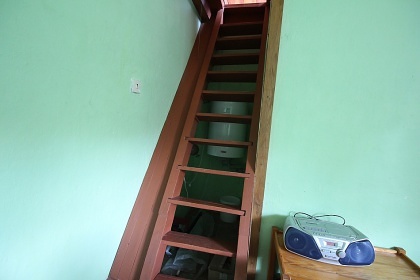 Upstairs is a fully equipped living room (electric double stove and oven, refrigerator, electric kettle, microwave oven), fireplace, TV, radio and 2 single beds. 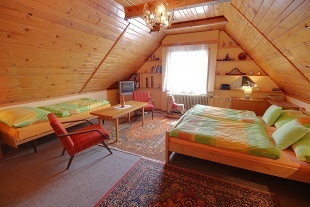 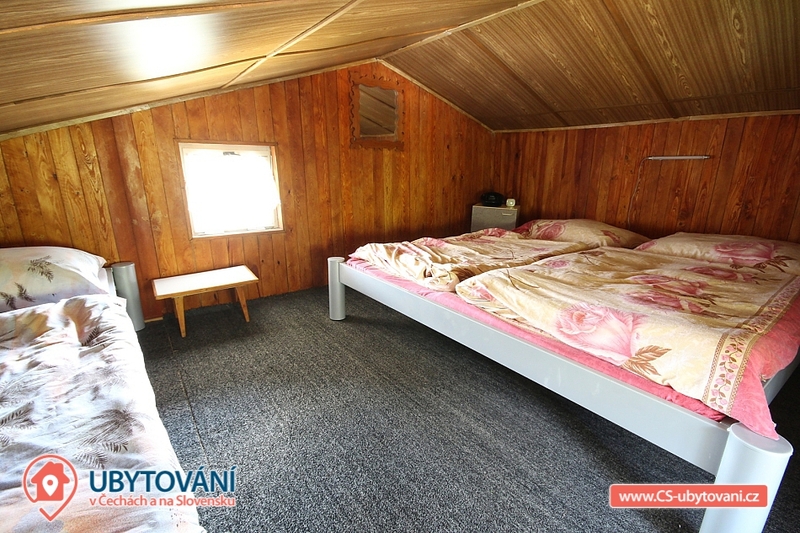 In the attic there is a bedroom with 3 single beds. 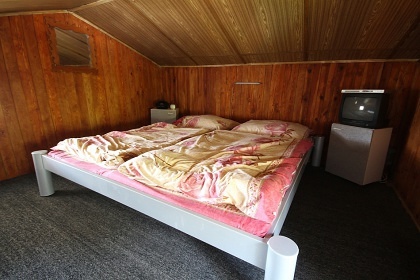 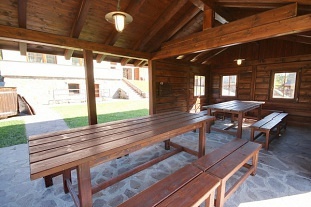 One extra bed with a folding armchair can be used in the building. 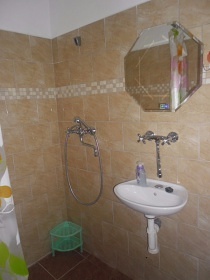 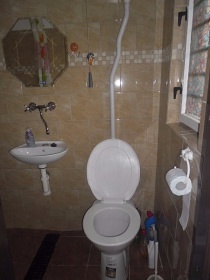 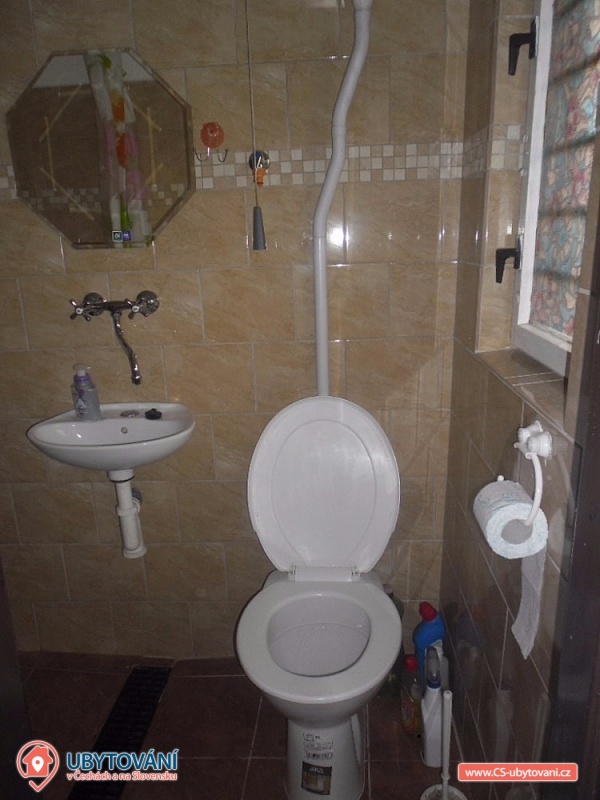 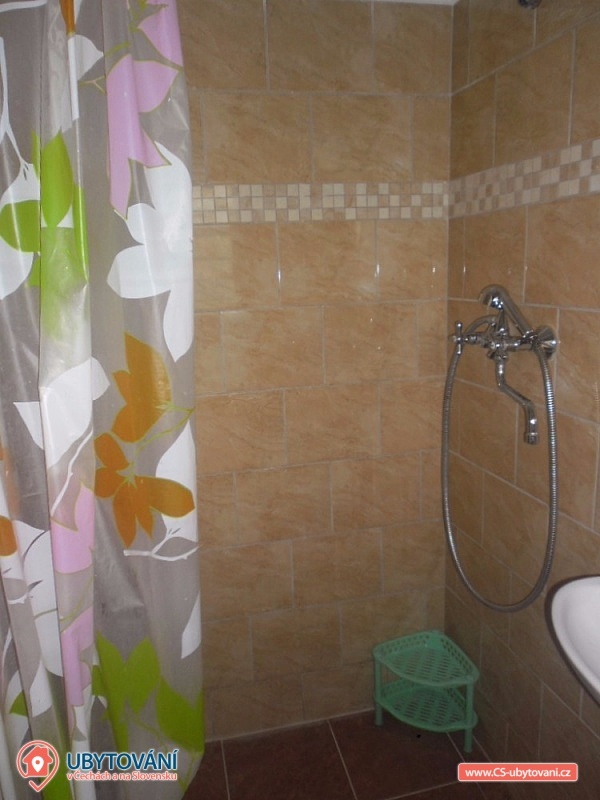 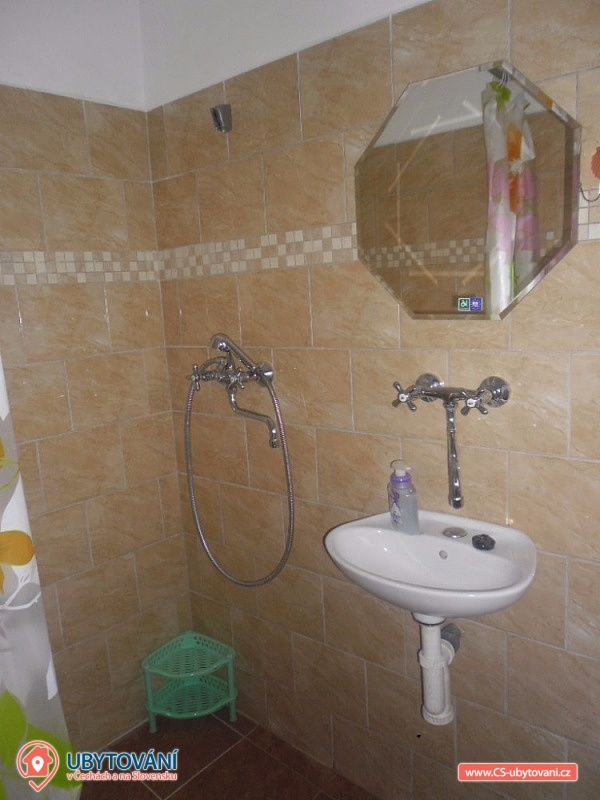 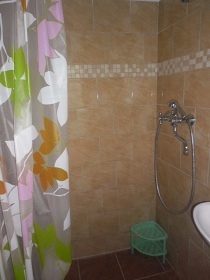 In the cottage there is a bathroom with shower and toilet. 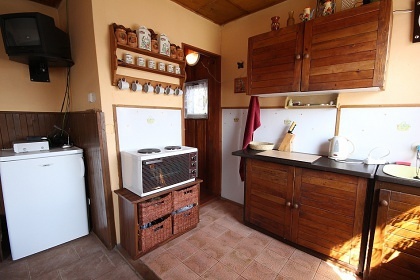 Heating is provided by 2x fireplace stoves for solid fuels and el. 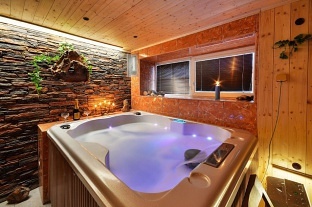 With a natural gas. 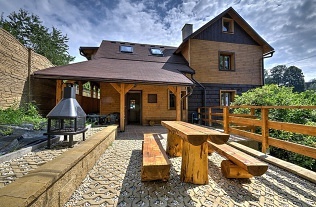 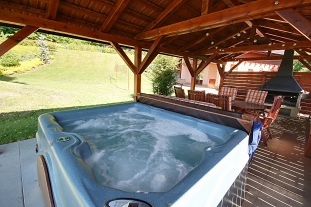 Outside the cottage there is a terrace, garden furniture, outdoor fireplace with a smokehouse and a rocking bench. 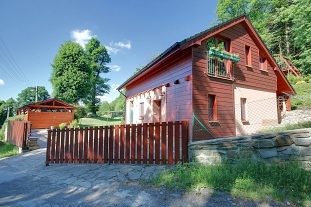 The cottage is in a cottage settlement, which is enclosed as a whole, parking for 2 vehicles is possible right next to the building. 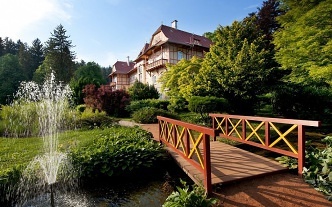 There are marked hiking trails and biking trails with attractive destinations (eg Lešná - chateau and ZOO 11 km). 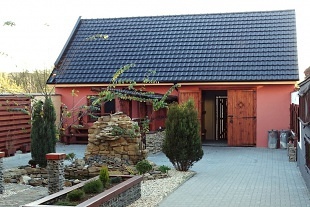 From the tourist point of view, our cottage is located in an interesting location thanks to one of the most beautiful zoos in the Czech Republic - Lešná ZOO and Lešná Chateau. 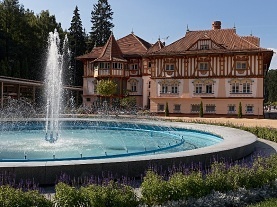 In the wider area you can visit the Kroměříž Gardens, Holešov Chateau and the ruins of the Lukov Royal Castle. 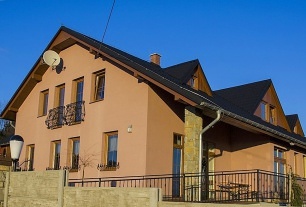 Additional information Pouze týdenní pobyty v tomto objektu. 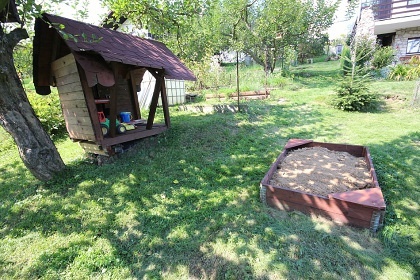 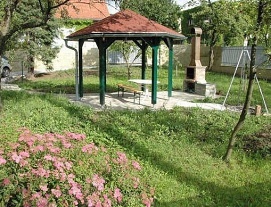 Pronájem pouze květen - říjen.